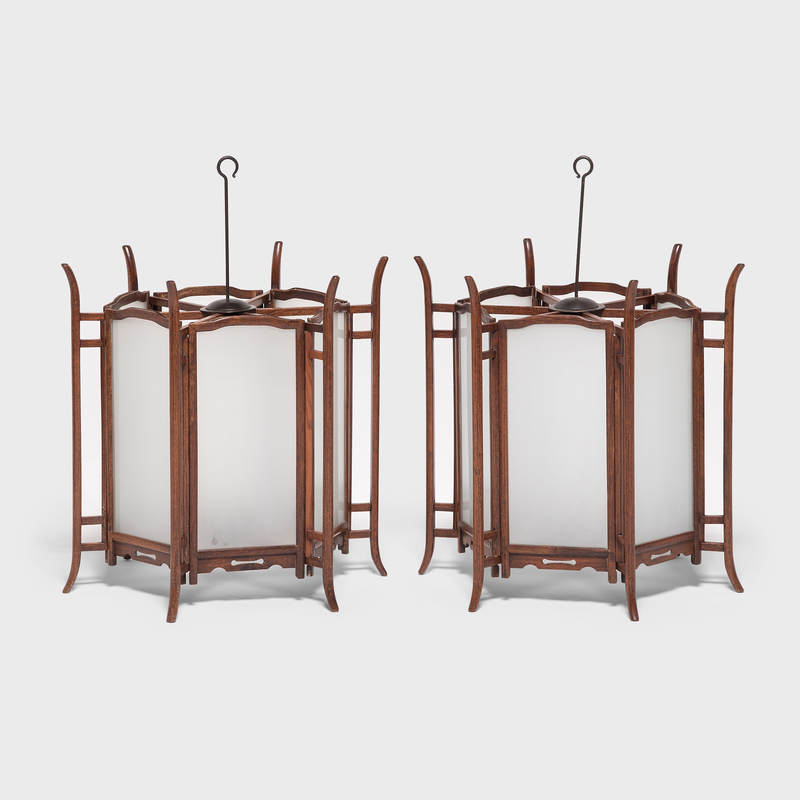 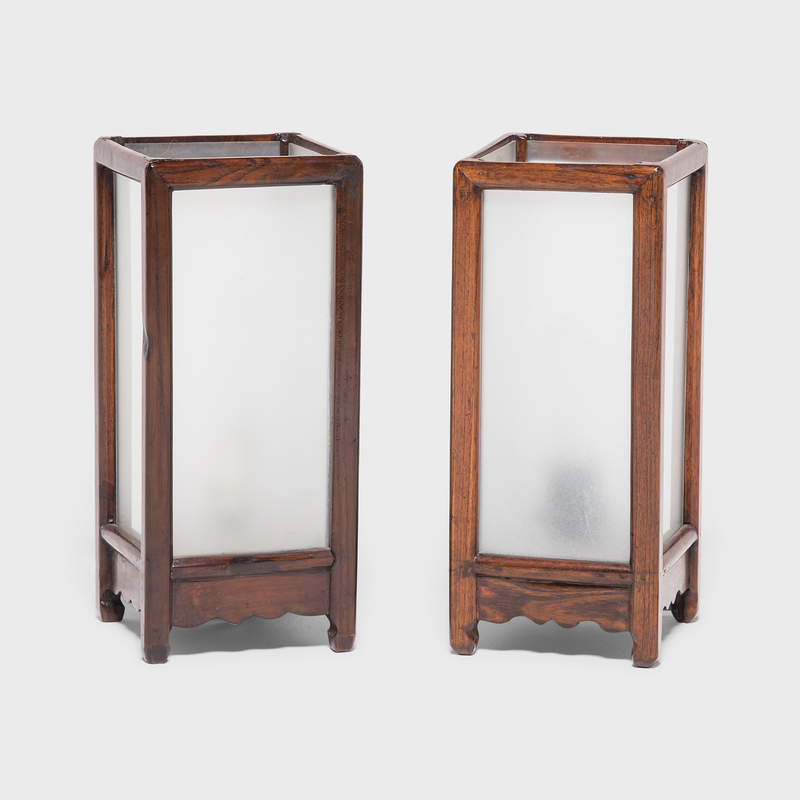 This steel and frosted glass lantern was created by an artisan in Guangdong province as a modern interpretation of a traditional 19th century Chinese rosewood and silk lantern. 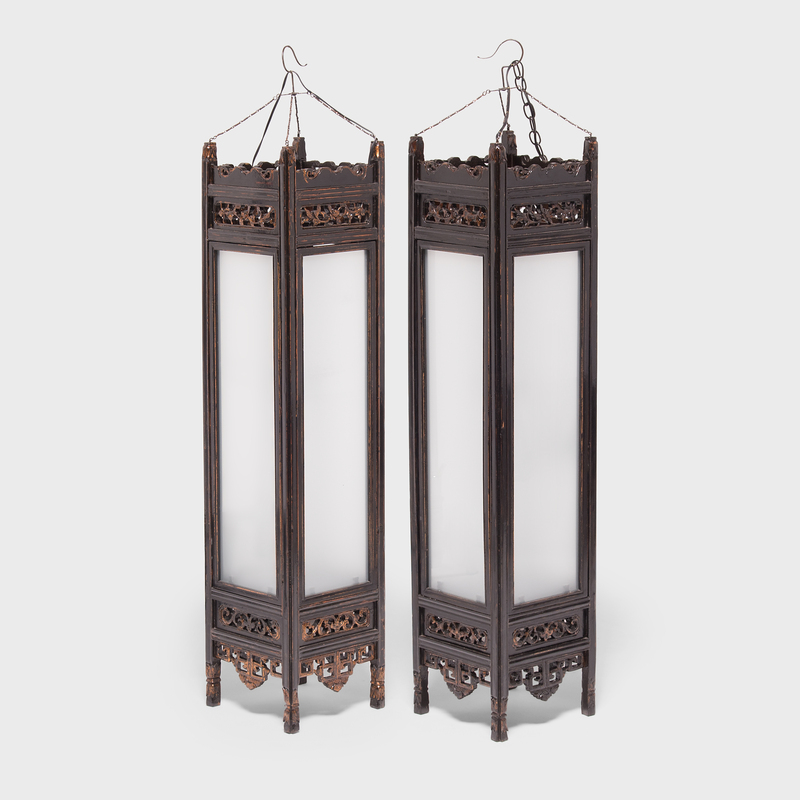 What would have been silk tassels now hang beautifully as bunched strands of chain link. 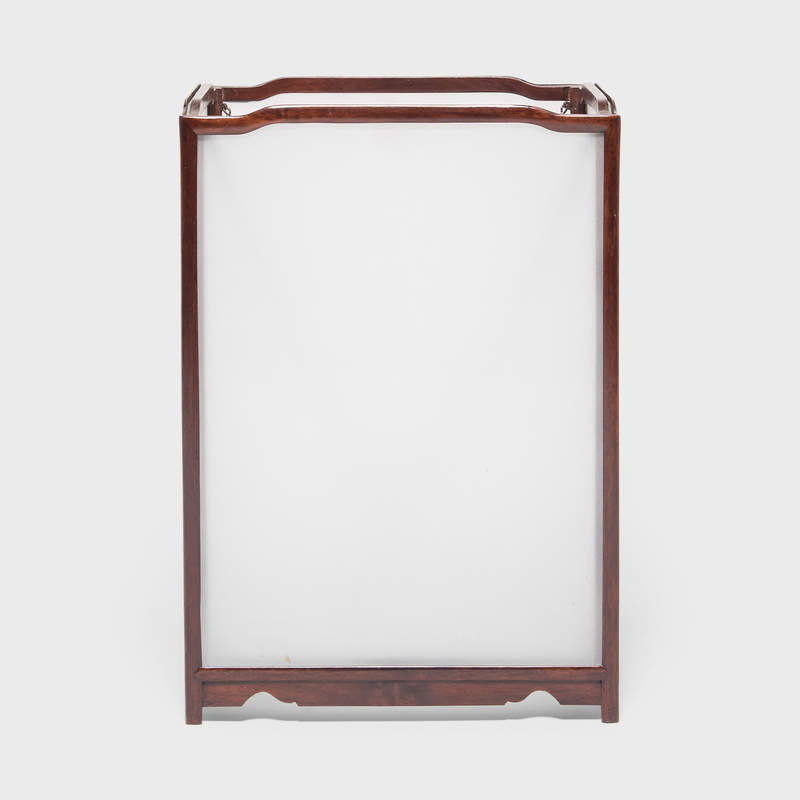 The panels of glass are held in place with rosettes of steel. 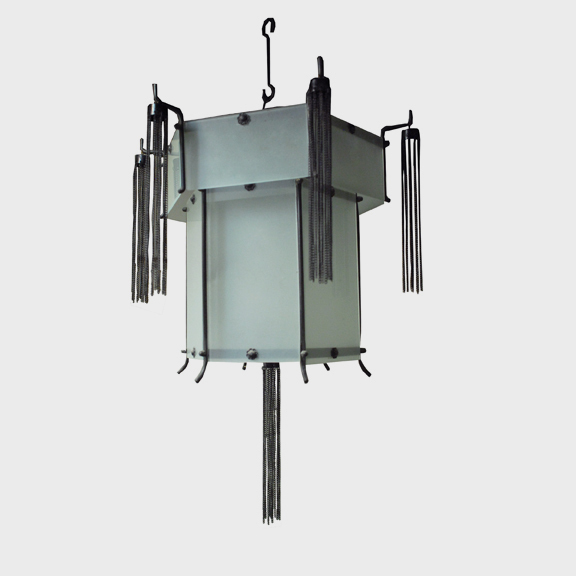 Lantern can be hardwired by a certified electrician and professionally installed.